Now it's a nice Diamond when it about cover's your hand len's. This is a very nice Diamond I recovered while working for my buddy Sam a few year's back. I was running a 10" suction dredge on a river in India and boy the job was brutal. I just found this photo I took and thought it would be a good one to share. That is one beautiful Diamond. Most Diamonds originated when the earth was in its infancy and knowing your are the first human to touch it, is kinda neat. This is a hopper we built out in my shop. This was for a little vibrating screen plant. This is a good example of a choke feed hopper with plenty of hopper water. The deck below is a screen deck we also fabricated. On the subject of hoppers, you can have vibrating variants that in some cases, can assist in the liquefaction of introduced pay gravel. 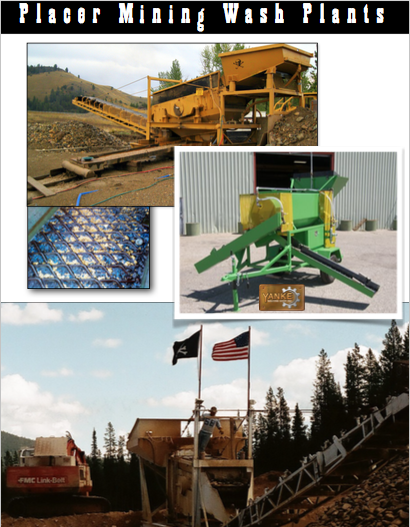 Depending on the type of gravel you have, a vibrating hopper is sometime a good addition to your washplant. Be aware more moving parts and maintenance, not to mention cost!! Most placer gravels are free flowing and feed out to a screening system just fine with a choke feed system. 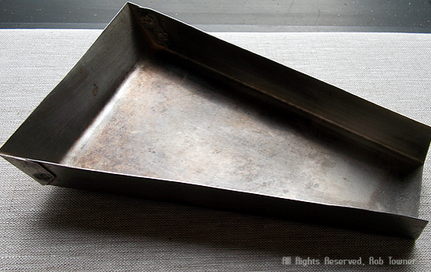 Millions of yards have been successfully treated with this type of hopper. 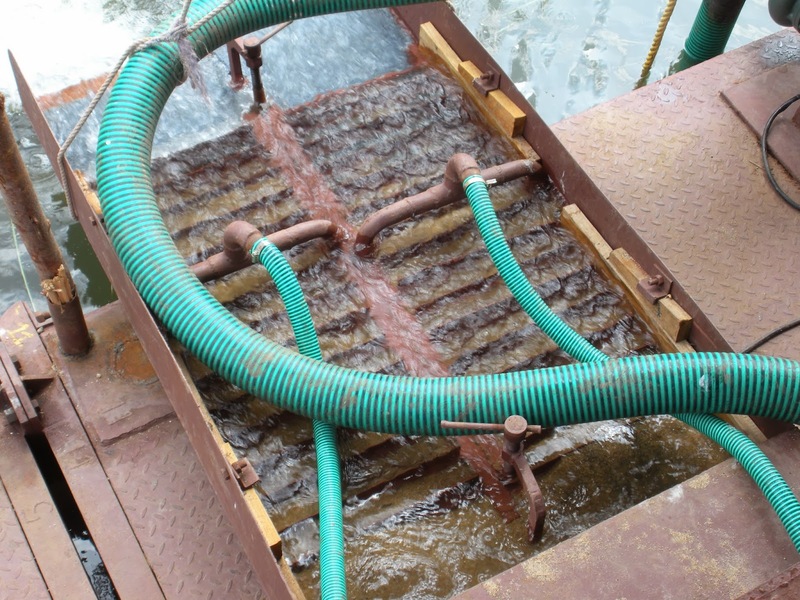 Hydraulic riffles for gold recovery in a heavy black sand environment. This is a set of hydraulic riffles I built a few years back. This was the underflow from a Pan American Jig. 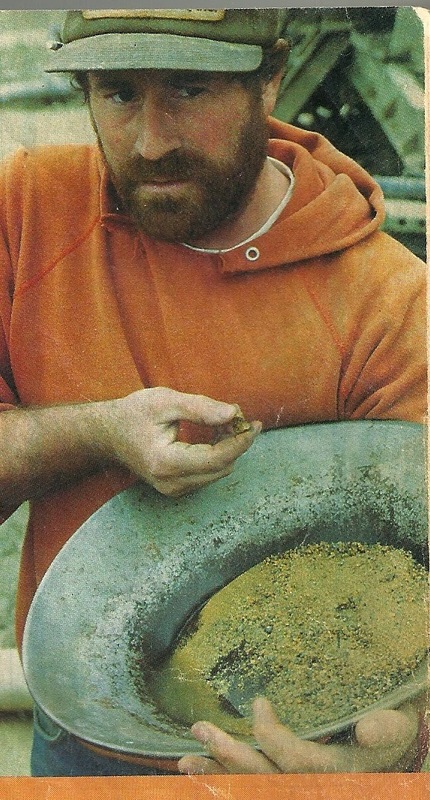 We had a lot of blacksand and it contained significant amounts of gold. Regulating the water pressure to around 7 lbs on this particular job seemed to do the trick! Really the biggest problem we had was handling the enormous amounts of black sand and being able to transport it upriver to a table concentrator. This was on a floating Diamond recovery barge I built. Dedication and study is what it takes to produce gold consistently!!! One of last years cleanups. Production, production its all we seem to do! One thing is for sure you have to become very dedicated to produce gold consistently. This is a lifestyle that is always filled with challenges, high hopes and always another good day!!! Producing gold is very expensive and not for the faint of heart. 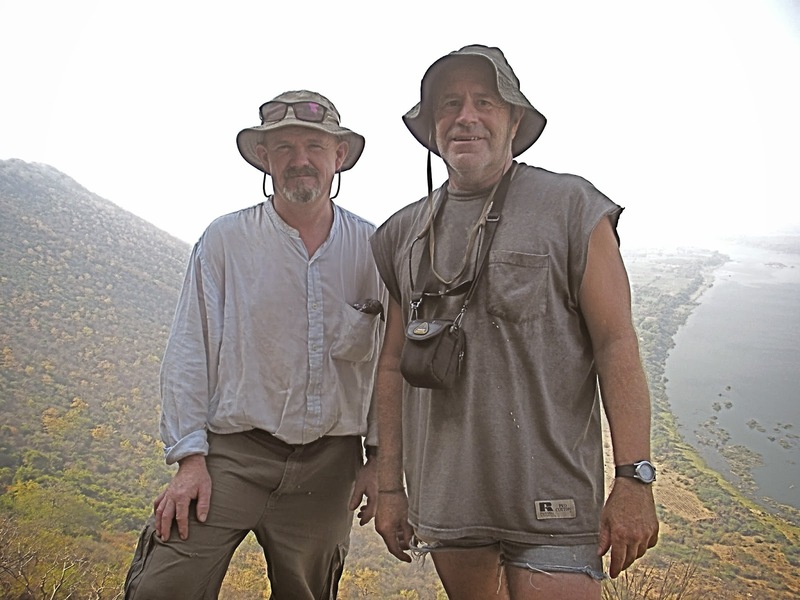 Alluvial mining is a very specialized business and a lot of good men are fully engaged in it across the world. We get to meet and work with some amazing people out there and hope to continue for many more years. My brother Les is as good of a miner you could meet. He can build and fix anything on a mine site. On our current project we are all old school on this one. Just three of us and we are dialed in at 60 to 70 yards per hour 7 days a week with 12 hr plus shifts. The project is dialed in and we clean the boxes two times a day. Around noon and at shut down evening time. We don't run around the clock as we are just keeping it steady, and not many hiccups or problems thats for sure. This is a pretty big gold nugget. I get invited to some pretty spectacular gold projects. This is from a spot that is super secret and dam its a rich site. Not an area that is friendly to outsiders for sure. These last couple of years some of my good buddies have ventured to some pretty exotic places and are still coming up with some great finds. Just had coffee with a friend and he has found several hundred nice nuggets. It makes the winter a little more bearable when your buddies share their adventures with you!!!! Yep…..Its below zero out and my buddy Pete and I just gotta bring it into the living room!!!! These were some concentrates from a little property I just had to test in the snow. Spring is still six weeks away!!! I was placer mining on Grasshopper creek years back and was getting some great octahedral gold as well as some fantastic wire gold specimens. I spent a lot of time and money chasing the lode opportunities on my properties. One of my mentors Mr Gosta Miller who has since passed was able to talk me out of a perfect octahedron gold nugget I found that weighed a little more than one half an ounce. I found several from this area back in the day. The fascination of finding these treasures will be with me till the day I die. Sharing these old photo's and history of finding and collecting these treasures, I hope will inspire some of the young geologists and mining men that will take on these adventures!!! 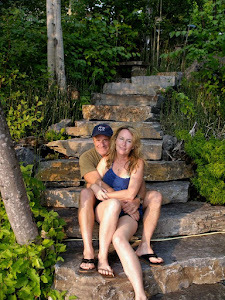 I found a very rich hard rock gold ledge years ago, without photo's who would believe it!!! Chunks of gold. 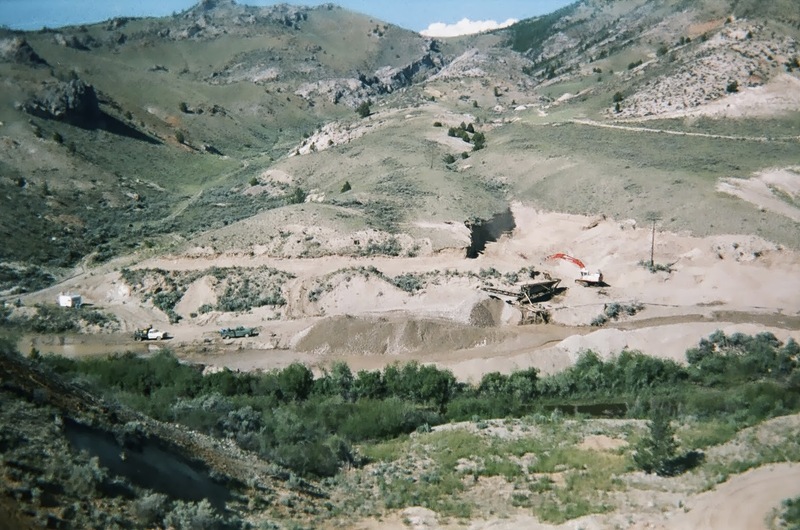 At one time I owned a large block of patented gold properties on Grasshopper Creek. I was placer mining and also looking for lode opportunities. Sure enough I stumbled upon a Limonite ledge that the old-timers had missed. On a skarn type of deposit that this was, the gold bearing ledge could turn anywhere out in the limestone. For several weeks I was hot on the trail going very slow and the geology was showing that a good chance of a pod laying underneath the limestone cap and sure enough I found it. Some of this stuff went a hundred of ounces to the ton. Gold prices were very low but I still managed to make a profit that year. This is what some of the original miners back in the 1860's were finding every day. Just to be able to experience the hunt and discovering a real hard rock vein was pretty neet!! I was a pretty young fellow then, but boy did I find some chunks of hard rock gold. You can see in my pan that we were getting some great cleanups. I donated some of this gold to Montana tech and it is on display at the mineral museum. Inching up the Draw that May have held some of Henry Plummers Gold!!! If you look carefully up the little draw above the excavator, you can see where we were headed towards the old cemetery on the left. Our intention was to dig up that old cemetery, boy that ended up being a disaster!!! That is my old property at Bannack, Montana and we were in the thick of hunting for Plummber's gold!!! 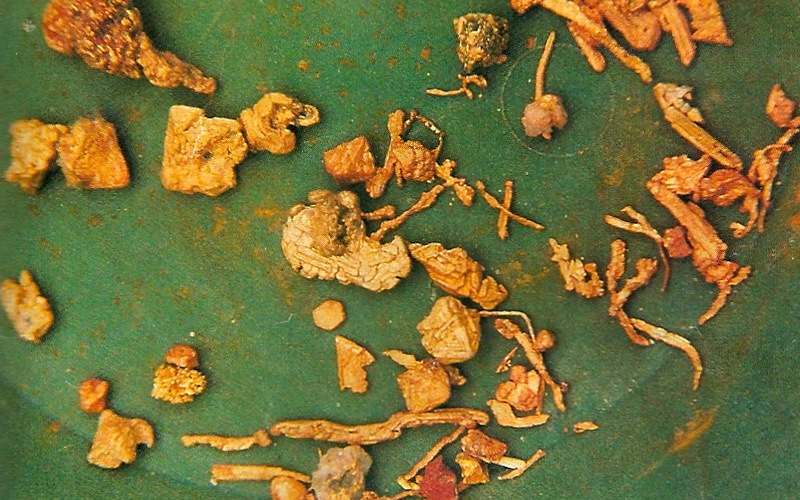 Several days before this photo was taken we found a catch of 27 ounces of placer gold mixed with mercury and several coins dated 1861 and earlier. Plummber had hanged a couple of horse thieves as the story went as I was told and he buried them on this site. 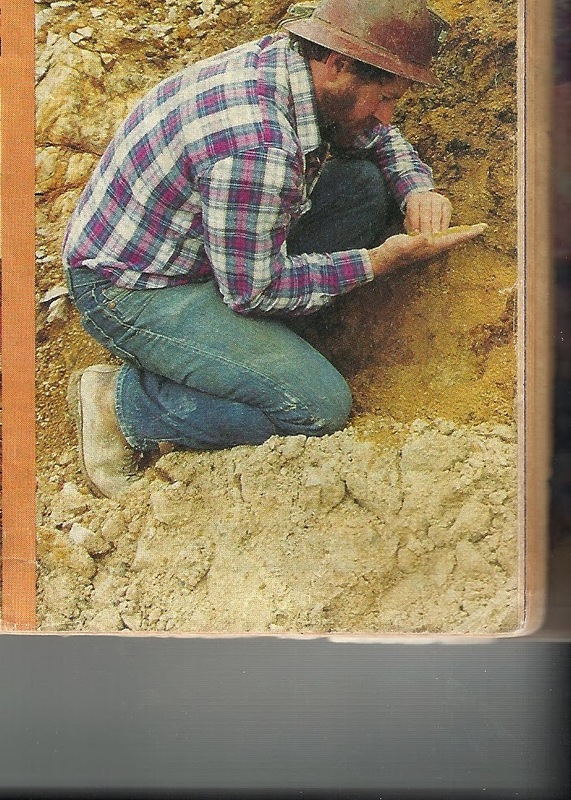 There is much more to tell and I am writing my memoirs on this subject and it should shed some additional light on what I discovered while hunting for Henry Plummers gold.